WINTER HAVEN, Fla. - Shawn Lalmoni and Kaitlyn Schroeder both captured commanding wins on Sunday at the Country Club of Winter Haven. It was the second Florida Junior Tour win of the season for both Lalmoni and Schroeder. Lalmoni was in second place heading into the final round, after a first-round 4-under 68. He posted six birdies and a bogey-free back nine on Saturday to end the day trailing Siyuan Lyu by two strokes. The Orlando native carded a 3-under 69 in Sunday's final round, with three birdies and an eagle. He played the back nine bogey-free and secured the win with an eagle on the par-5 18th hole. Lalmoni finished the tournament at 7-under 137 with a four-stroke lead over the rest of the field. This is his first FJT win since February at East Lake Woodlands Country Club. Lyu took home second place, while Juan Echeverri finished in third place. Schroeder went wire-to-wire to win her first FJT win since February at Stone Creek Golf Club. She held a one-stroke lead over the field, following a first-round 2-under 70. The Jacksonville native, who started on the back nine, had a rough start to the day with a double bogey on the 10th hole. Schroeder bounced back, finishing her first nine at even-par with three birdies. She carded five birdies on the front to finish the day with a 4-under 68, the low round of the championship. The FJT schedule will continue at Old Corkscrew GC, in Estero, for the 16-18 division and Heritage Oaks G&CC for the 13-15 division on April 27-28. The 18 Hole Rees Jones and Bill Bergin designed course is in perfect harmony with the terrain as it winds beneath stately oaks and pines, and subtle elevation changes make it reminiscent of South Carolina. Whatever the time of day, the wonders of nature surround you as you experience golf’s true “walk in the park”. Shimmering lakes, sweeping vistas, and the sounds of wildlife can be heard nearby. Click here to view the club's website. Players with an unused FJT exemption will be accepted on a first-come, first-serve basis (if submitted before the entry deadline). An alternates list will be posted to the FJT website under "Tee Times & Player Information". Entries submitted after the entry deadline will be added to the bottom of the alternates list or used to fill any openings in the field. Entries must be submitted through the FSGA website. To enter, each player must have an account on this website (free to setup), and a current FJT Junior Membership ($40). Click "Enter" above in the Tournament Links box. The entry fee of $95 (for GHIN handicap members) or $115 (non-GHIN handicap members) includes tournament rounds, range balls prior to tournament rounds, crystal trophies for the top three finishers, and a tee gift. To receive the GHIN handicap price, the player, or one of the player's parents must have an active GHIN handicap at a club in Florida. The seven digit GHIN number must be included and active when the entry is submitted. Click on the Handicaps tab above in the main menu for more information. Late Fee: A late fee of $10 will be applied to entries received after the entry deadline. The entry fee and late fee will only be charged if the player gets accepted into the tournament field. Practice rounds are available one week prior to the tournament on a space-available basis. Tee times are only available after 12:00 noon the weekend prior. The price for a practice round is $30.00 + tax. 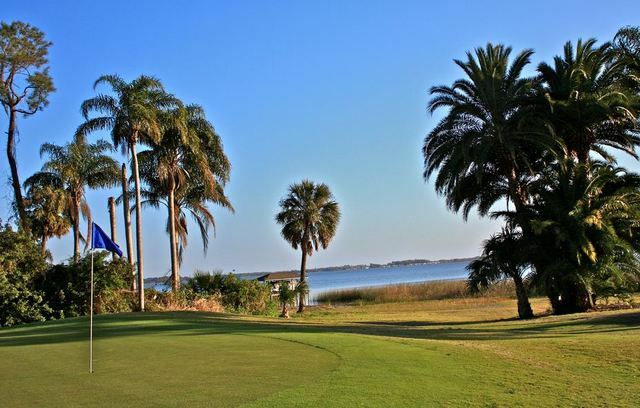 Please call (863) 324-4579 to arrange your practice round. The proper place to practice your golf swing is on the driving range, hitting multiple shots on the course, not filling divots, and not repairing ball marks are unacceptable and may cause removal from the tournament without a refund. Players are not allowed to drive golf carts (must be 18 years old to drive a cart). Procedures for Alternates - Click here for information on how alternates may gain entry into this tournament. decision of the Championships Committee/on-site Rules Committee in any matter will be final. The FSGA does not have a host hotel at this time.